This bone carving is a Manaia, or spiritual guardian, which is the profile of a Tiki. This is symbolic of being half in this world and half in the spirit world. 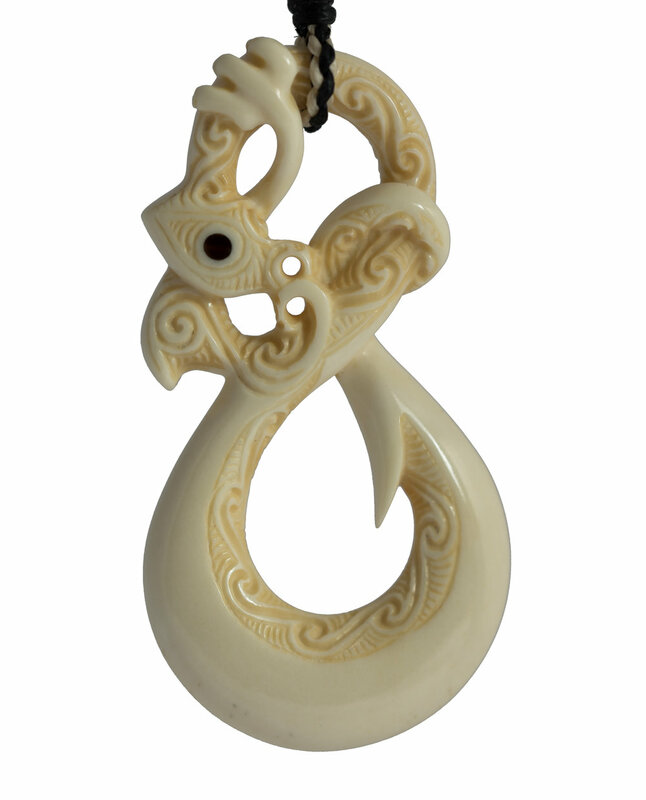 Manaia's can be adapted with other symbols and stylized to communicate different aspects or meaning. This Manaia is called ‘Hinengaro of sharp wisdom'. Hinengaro is the Māori word for mind, thought, intellect, consciousness, and awareness. The sharp barb is a feature used on fishing hooks. This barb is located on the inside of the Manaia tail which is curling around itself. This is symbolic of ‘hooking and catching’ inner wisdom. This inner wisdom produces a sharp mind and leads to deep and lasting peace. The single arm is symbolic of strength and single pointed determination to do what is correct. 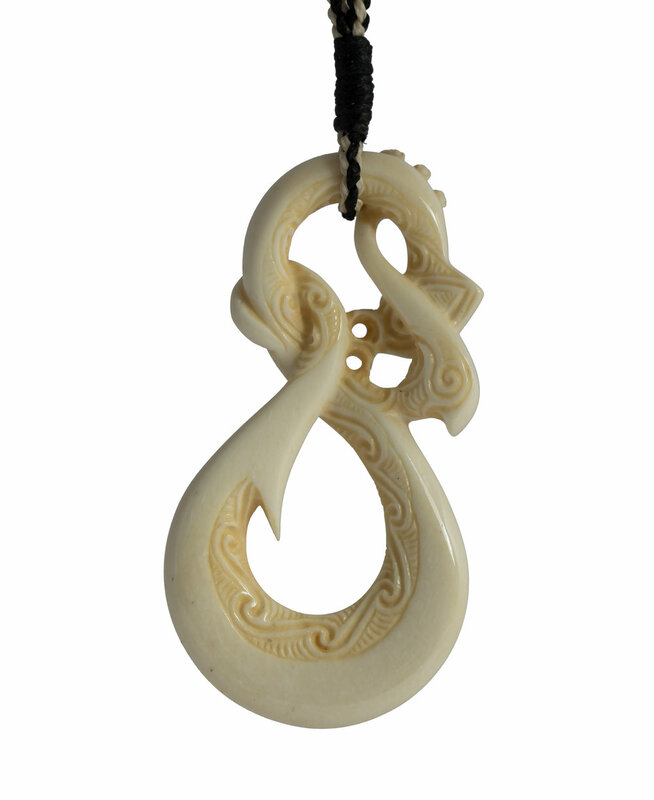 The koru pattern on the inside of the carving represents the inner wealth of wisdom we each possess. They also are symbolic of a journey of discovery.